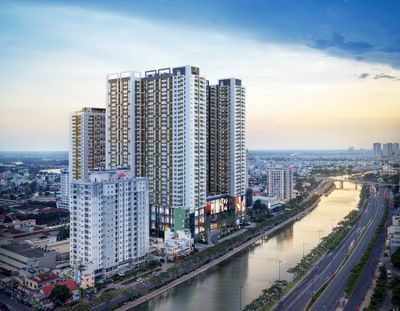 SAIGON PEARL – HOME BY SAIGON RIVER Rising proudly on the Saigon River, The Saigon Pearl is the ideal place for you to enjoy life in high-end services, prime location, perfect infrastructure, international standard, and green environment. Not only brings a peaceful living space, The Saigon Pearl also meets the needs of 5-star living standard with the facilities and utilities for its residents. 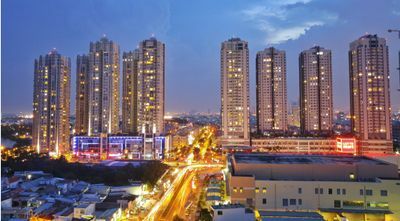 The whole of Saigon Pearl project design includes 126 separate villas and 8 buildings with 37 floors, 2 office buildings, hotels, commercial and the other facilities. 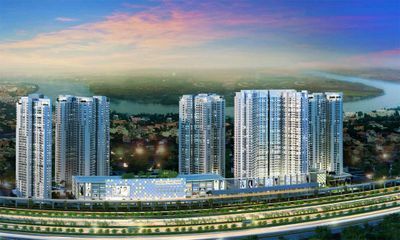 Designed and built by many leading international experts, Saigon Pearl is the largest in Vietnam in accordance with international standards. With the environment and customs of living in Vietnam, Saigon Pearl has some main items as follows: • 08 Block, 38 floors with 2,200 luxury apartments from 02 to 04 bedrooms with full support services to meet the needs of the resident community. • 02 office buildings and hotels over 40 floors with a total area of 75,000 m² for hiring with professional and modern management style. • 01 International School • 40,000 m² shopping mall with diversified products to serve residents’ needs • 126 luxury villas • The Central Park • 10,000m2 the waterfront park, marina, and riverside club along the Saigon River • Advanced and independent infrastructure according to modern standards Saigon Pearl Apartments are located away from the traffic routes to ensure quiet and fresh air for residents. 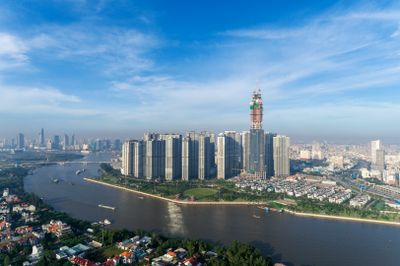 In addition, its public areas namely swimming pools, green parks ... are planned alongside the Saigon River to bring residents the peaceful beauty and fresh air of the Saigon River. Overviewing the natural and elegant Saigon Pearl, its architectural space is planned scientifically to show all the beauty of the natural landscape. Watching the harmonious beauty of the natural landscape at Saigon Pearl is always an endless passion + Wellspring Saigon Bilingual Secondary School +Saigon Pearl Commercial Center: Central Mart, Uma, Pearl Coffee, MOF, +Saigon River Club +Gym, Swimming Pool, Tennis Courts, Spa & Sauna +Cinema, Restaurant, Coffee Located at 92 Nguyen Huu Canh street, Binh Thanh District, Ho Chi Minh City, the most growing area in Saigon and right on main way of Finance and Trade Center in future of the city as well as staying by Thu Thiem bridge, Saigon Pearl has the most beneficial position which no any other complexes can compare. Also, from Saigon Pearl apartments, residents just take a short time to get to the center and neighboring areas. Saigon Pearl is an ideal place for any residents who love peaceful space, that still not far from the urban life.